10. Chinese New Year is next month. I am so excited to experience this holiday here because Chinese New Year defines Chinese culture and traditions. 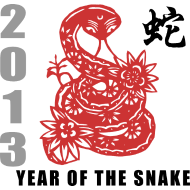 2012 was the year of the dragon, and 2013 will be the year of the water snake. (In addition to the animal, each year has a corresponding element: earth, wind, fire and water). Also, I recently discovered that I was not born in the year of the snake as I had thought my entire life. I was actually born in the year of the dragon because the year of the snake did not start in 1989 until February 6th, and I was born on February 5th. My next “Fun Facts” will feature photos from Chinese New Year and an explanation of various cultural traditions. January 21, 2013 in Fun Facts.